Governor Northam vetoed House Bill 2764 and Senate Bill 1038, he said both would create unnecessary obstacles to voter registration and undermine Virginians’ voting rights. RICHMOND, Va. — Governor Northam vetoed two bills on Friday that he claims would create unnecessary obstacles to voter registration and undermine Virginians’ voting rights. One bill, House Bill 2764, would have required any person who assists an applicant with a voter registration application or collects a completed paper voter registration application directly from an applicant, they must provide their name, telephone number, and indicate the group or organization with which he is affiliated, if any, on the registration application. The bill would have prohibited any registration application from being denied on the basis of such information not being provided. Pursuant to Article V, Section 6, of the Constitution of Virginia, I veto House Bill 2764. This legislation would have required a person who assists an individual with a voter registration application or collects completed applications to provide their name, telephone number, and name of the group or organization with which they are affiliated. Virginia law already requires the individual or group assisting applicants with voter registrations to provide the applicant a receipt with their name and contact information, and including this individual’s information on the actual voter registration application is unnecessary. If this contact information is missing from the application, it could potentially lead to denied or delayed applications. Eligible voters should not have their constitutional right challenged because their application did not include contact information for the volunteer who assisted them in their registration. This legislation places an additional, unnecessary, and burdensome requirement on those facilitating or participating in voter registration drives. The exercise of voting rights is fundamental to the strength of our democracy, and at every opportunity, Virginia must strongly depart from its history of mounting obstacles to the voting booth. We must clearly demonstrate that the registration of eligible voters in the Commonwealth is welcomed and encouraged. The second bill Northan vetoed was Senate Bill 1038. This bill would have required the general registrars to verify that the name, date of birth, and social security number provided by an applicant on the voter registration application match the information on file in the Social Security Administration database or other database approved by the State Board of Elections (State Board) before registering such applicant. According to the bill, if the information provided by the applicant did not match the information in such a database, the applicant is provisionally registered to vote and notified as to what steps are needed to be fully registered to vote and is permitted to vote by provisional ballot, but such ballot shall not be counted until the voter presents certain information. Pursuant to Article V, Section 6, of the Constitution of Virginia, I veto Senate Bill 1038. 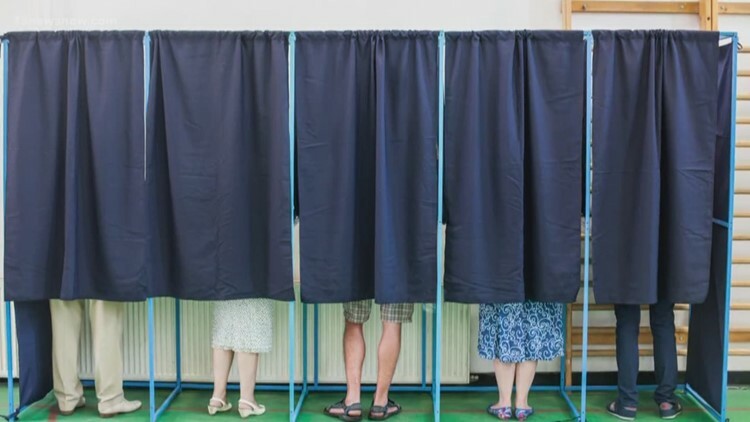 Senate Bill 1038 would require the automatic denial of voter registration applications from certain eligible Virginians solely due to an error in a federal database or other databases. This legislation would violate Article II, Section 1 of the Virginia Constitution by injecting additional requirements Virginians have to satisfy in order to be eligible to vote in the Commonwealth. The federal Voting Rights Act expressly prohibits denying applications for reasons that are not material to determining voter eligibility. Requiring 133 individual general registrars to implement a flawed application denial process will only increase the likelihood of disenfranchisement of eligible voters. The constitutional right to vote should not be undermined by human error such as data entry mistakes or typos. The right to vote is fundamental to the strength of our democracy, and at every opportunity, Virginia must strongly depart from its history of mounting obstacles to the voting booth. Additionally, the implementation of this legislation would stretch the limited resources of local and state elections officials. Requiring general registrars to deny applications from potentially eligible Virginians would disenfranchise Virginians, violate Virginia’s Constitution and federal law, and be an unfunded mandate on our cities and counties.